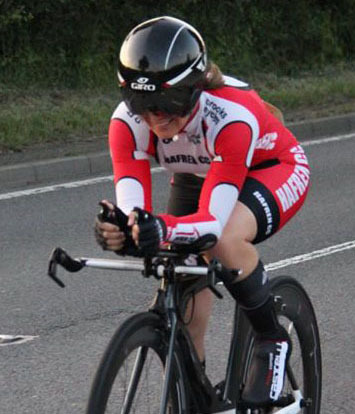 Newport Shropshire CC Station Road Hill Climb. Just four seconds separated the winner from the runner-up in a sopping wet Round 7 of the Coaching Revolutions Hill Climb Series as riders and officials got battered by freezing cold rain that rendered the ¾ mile Newport Shropshire CC Station Road climb more akin to a waterfall and limited entry numbers. In the past two years this event has enjoyed huge turnouts but just 10 braved the appalling conditions, with visiting rider Mike Lewis of Rhyl CC determined to get in some needed training for the upcoming National event taking the win in 3 minutes 35 seconds. Despite an average incline of 5.4% that statistic is misleading as the gradient changes regularly throughout the climb – just what Lewis was after. He commented: “Being similar in distance to the National event I have in a couple of weeks I thought this would be ideal preparation. It’s an interesting climb as it goes steep twice with a couple of flattish sections. I’m still learning how to pace short efforts and blew three-quarters of the way up the climb, but I was very pleased to take a win nonetheless. Thanks to SCCA and Newport for putting on a great event, and all the timekeepers and marshals for standing there in that horrendous weather“! One local rider who was determined to make the best of things was Mark Hammond, who took the Overall runner-up spot and doubled up a Veteran’s win with the County win, stretching his lead at the top of the Veteran’s standings to 20 points and moving up into equal third in the Overall Series as an added bonus due to gaining maximum points. 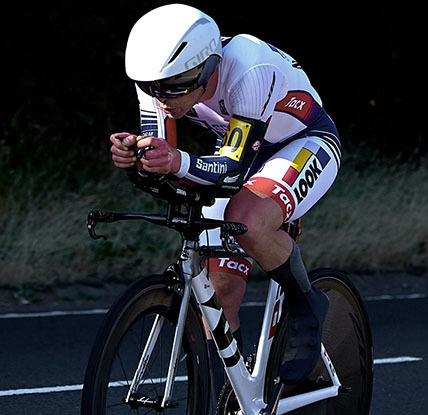 Hammond crossed the finish line in a personal best 3:39, pushing out a strong effort from a regular visitor to this event, Wolverhampton Wheelers’ Matt Morris by seven seconds. This is Hammond’s first season as Veteran and he looks odds on the seal the Veteran’s Series at first attempt. He stated: “I really like this climb, one of the best in the Series. I was chuffed with knocking a few seconds off my personal best even though there was a nice refreshing stream running down the road! It was a full on river on the steep bottom section, with the trip back down a bit tricky – a canoe would have been handy! Well organised by Newport, I was glad of the nice dry pub for HQ afterwards“. 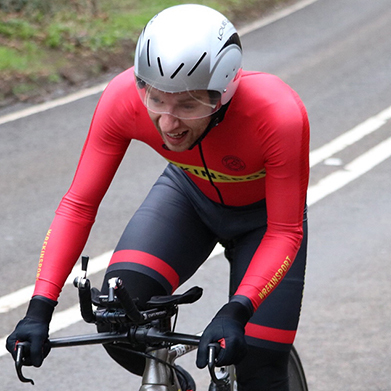 With four Junior riders in the field Mid Shropshire Wheelers’ Lewis Page took a maiden win, elevating himself up the second in the Junior Series thanks to his 3:56 effort. The 16 year-old has only missed one round in a format suited to the young an lightweight, and was gaining his first experience of Station Road, clearly liking it’s ever-changing character: “The first time I’ve been up that climb, it was pretty steep with quite a few ramps in it and flats in between. I prefer that to a flatter, steadier climb because you are sprinting then have to get what you can back before you hit the next ramp“. 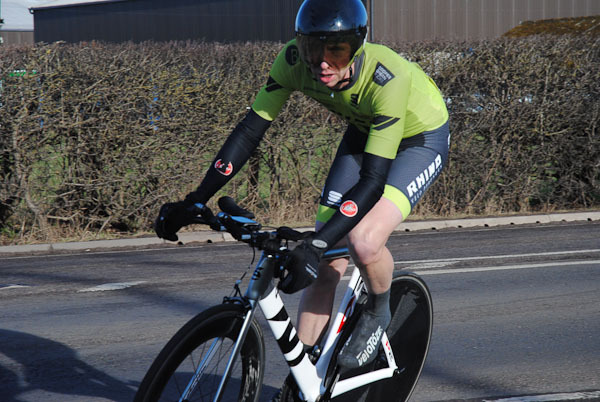 Page’s nearest challenger was also gaining his first experience of Station Road, with Tom Bullock one of three riders from the promoting club testing themselves. 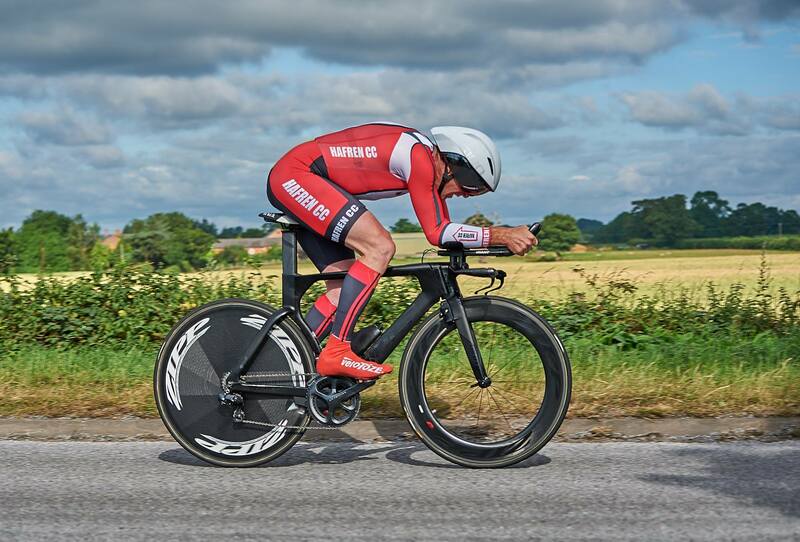 Bullock stopped the watch on 4:18 and was happy with his ride, stating: “My first Ironbridge hill climb and I was pretty pleased with the result as I hadn’t been on the bike for a few weeks. Well organised, but a shame about the weather“. Round 8 of The Coaching Revolutions Hill Climb Series is a rare chance to race in the two-stage format when Marches CC present the twin climbs of Blodwel Bank and Bwlch y Ddar on Saturday 20th October. Points are awarded based on each riders’ aggregate time over the two climbs, with stage 1 taking place from 2pm and stage 2 targeted to start at 3:30pm depending on completion of stage 1. HQ is LLanyblodwel Village Hall.